Abandoned! Deer Grove East—28 September 2013 On the path to/from the meet, there were plenty of other photo-worthy sights. 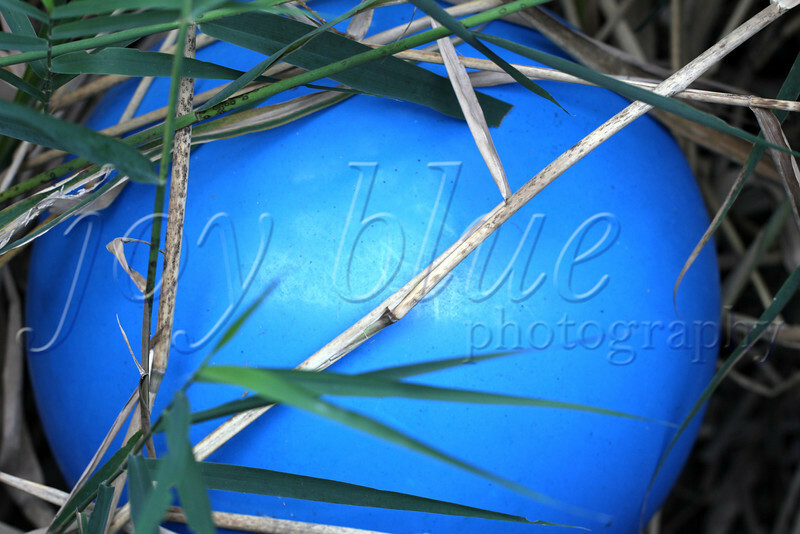 This huge blue ball was under a footbridge, with no visible, practical, or safe means to retrieve it. So sad. Tom noticed it, and told me to lean through the bridge sides. I’m glad he didn’t send me through to join it!